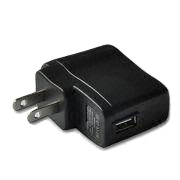 TGo W Electronic Cigarette batteries can be charged using the USB Home Charger on any wall outlet with the usb charger attached. Please Note: Charging the e-cigarette batteries overnight may cause battery failure due to overcharging. ?